This is a fabric type (NCO) Police troddel (portepee). The black strapping is highlighted with aluminum and red stitching. The slide matches the strapping. 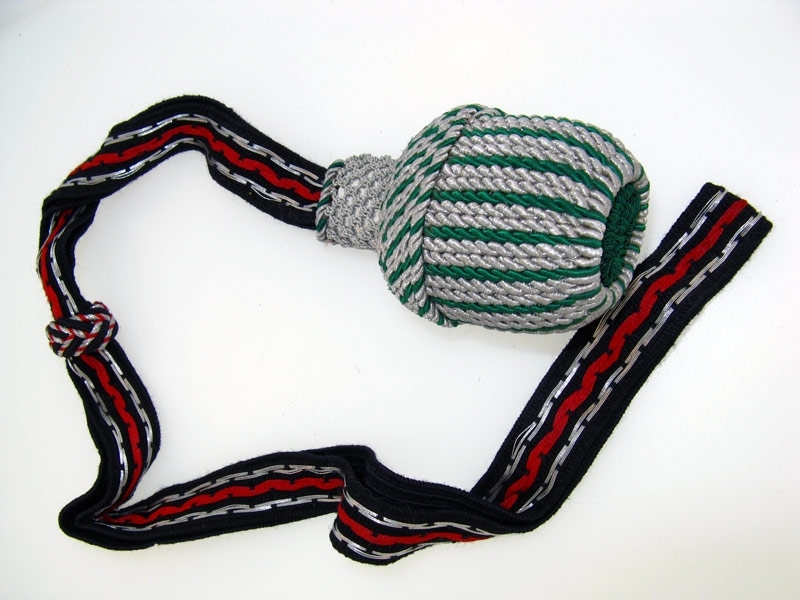 The stem is the flat crochet-like type and the lower ball is a bullion and alternating green yarn type. The lower stuffing is green. In extremely fine condition.